I will tackle any type of quilt as long as I am given enough time. The price list above is for general patterns such as log cabin, fence rails, heart pattern, (shown on main page), and quilts that are able to be pieced by machine. I have other patterns that I can do quickly that make a great gift for any occasion. Just email me, for information. There are some photos here to give you an example of the type this price list includes. Check our my links on the next page and thank you for looking. 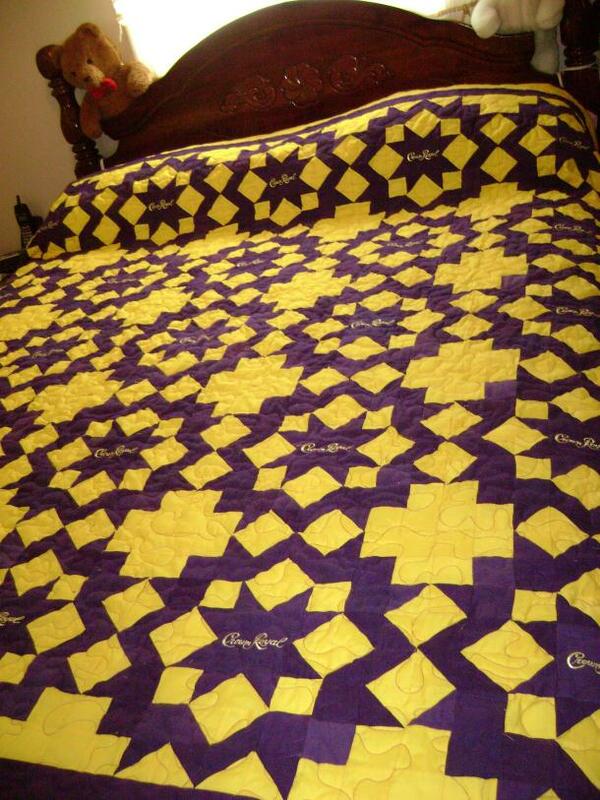 This quilt is the 'star of Bethlehem' pattern made from Crown Royal bags, and gold flannel. There are 101 pieces in each block. It is all machine stitched, including the decorative finishing stitches. 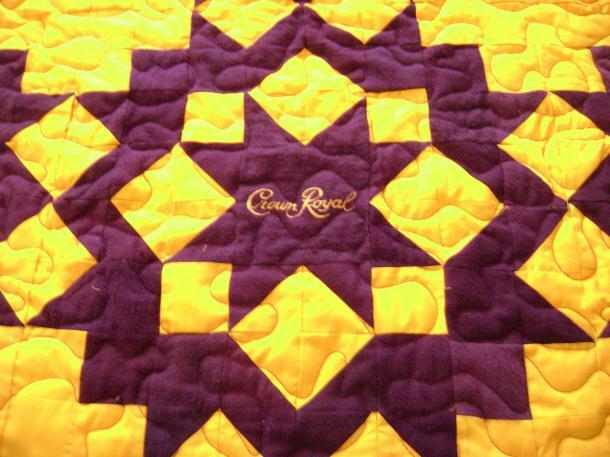 The centers of the squares are accurately cut from the Crown Royal bag to show the monogramming.